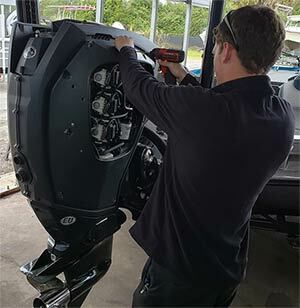 Aqua Tech Marine has fully certified mechanics to serve you and repair any issues you may be having with your boat. Aqua Tech Marine provides a wide range of services to get the most out of your boating experience. If you have any service need or are looking for a specific part, please contact us at 321-409-5712 or visit our store location at 2723 Palm Bay Road Palm Bay, FL 32905. Our team will be happy to help in any way we can.